Functions: hours, minutes, central seconds and date at 3 o'clock. Case: 38.5 mm in diameter. Satin-polished steel. Dial: white. Blue painted numerals. Metal skeleton Superluminova®-filled hour and minute hands. 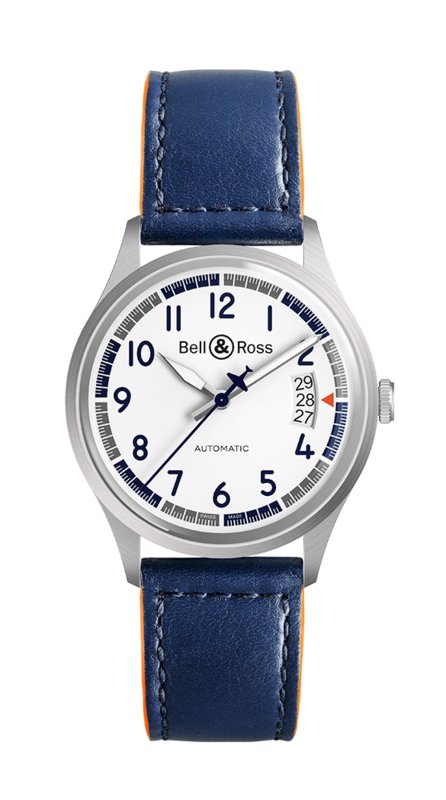 Strap: blue calfskin with orange lining.